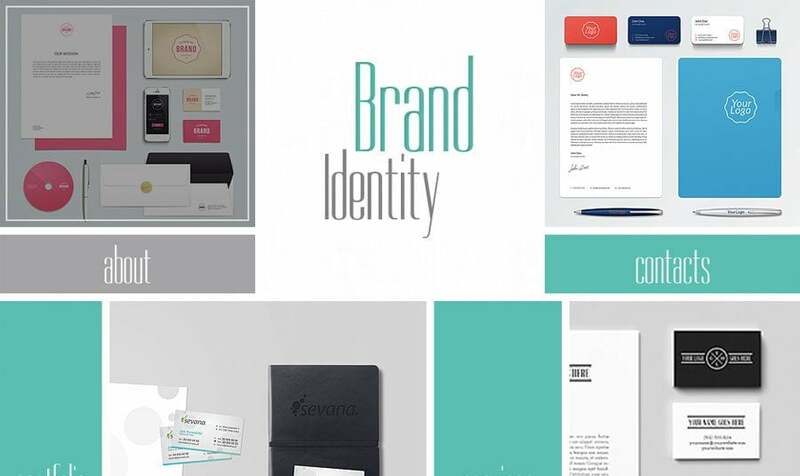 Aesthetically pleasing and usable – these are key ideas behind today's freebie. Its design have combined several trends that won the hearts and minds of web audience in 2013. Masonry layout, clean style, focus on typography – this is how today’s freebie is going to charm and inspire you to redesign your design studio site. There it is – the theme that’s the point of our interest today - Free HTML5 Theme for Design Studio, and you’re welcome to try it for your designs. 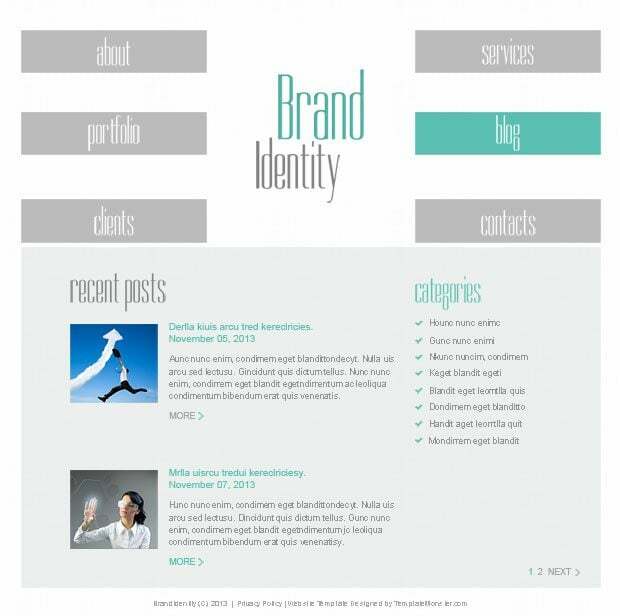 The content centric design features masonry layout for presenting the home page of a site. 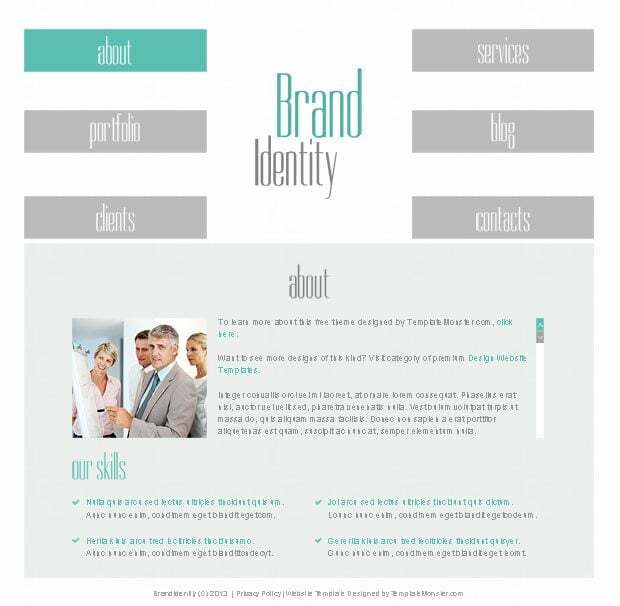 It can be a web presence of design studio, photographer’s portfolio, personal page of an artist, or any other website you'd want to use it for. 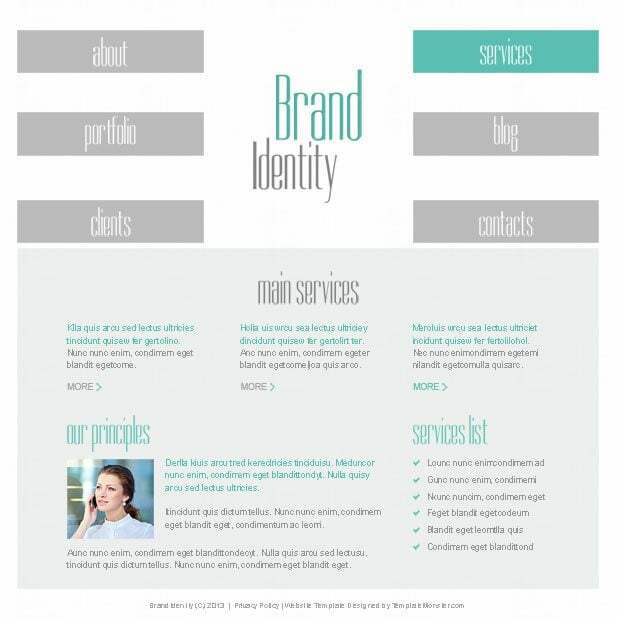 The content blocks are neatly placed around the page, thus look quite clean and well-structured. The menu blocks pop-out against others due to their mint coloration. Other blocks contain featured images from the gallery which you can enter by clicking each of them. Color variations of this layout make it visually pleasing. Check out the whole set of subpages (featured below) to get an idea about the look of this theme, or see its live demo. Neat organization of the Home Page can easily tell users what the site is about, or what services it offers. The focus on menu makes it noticeable, along with featured images on other blocks that tell about company's products. Enjoy nice hover effect when working with all these blocks. * * *All information you want to tell about your company, will be neatly placed on the About Page. Large typography in the headings and bullet lists will help arrange the content wisely. * * *The whole range of services with detailed descriptions are on the content centric Services Page. 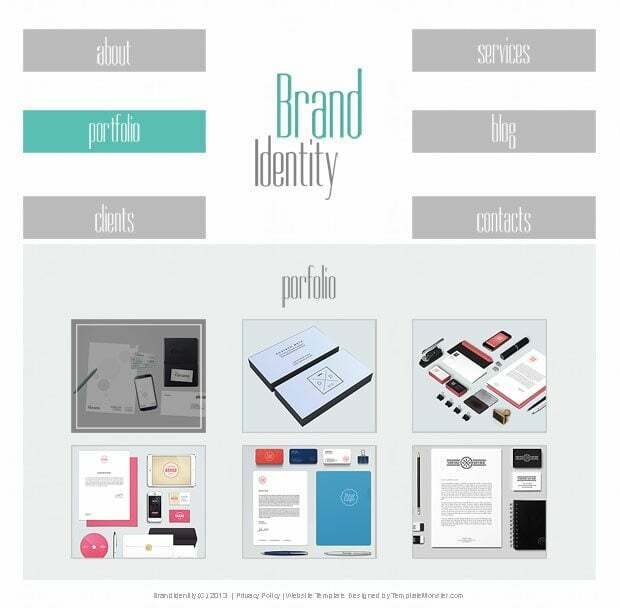 * * *You can tell a lot about the products your company offers, but a good portfolio is worth a thousand words. 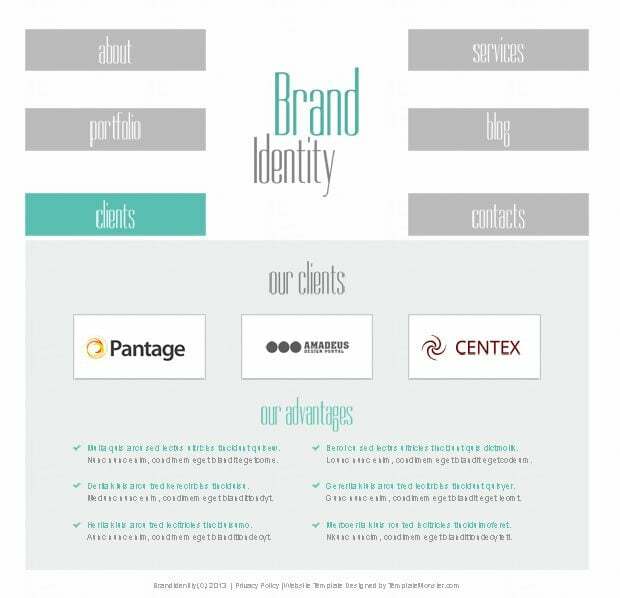 Use Portfolio Page to show company’s works in a visually effective way. * * *Make your clients stay tuned with you. Post on the Blog Page latest news and make them interesting for the audience. * * *Let your visitors know a bit more about your company, make them familiar with the list of your clients on the Clients Page. * * *And the last one sub-page - the Contact Page. 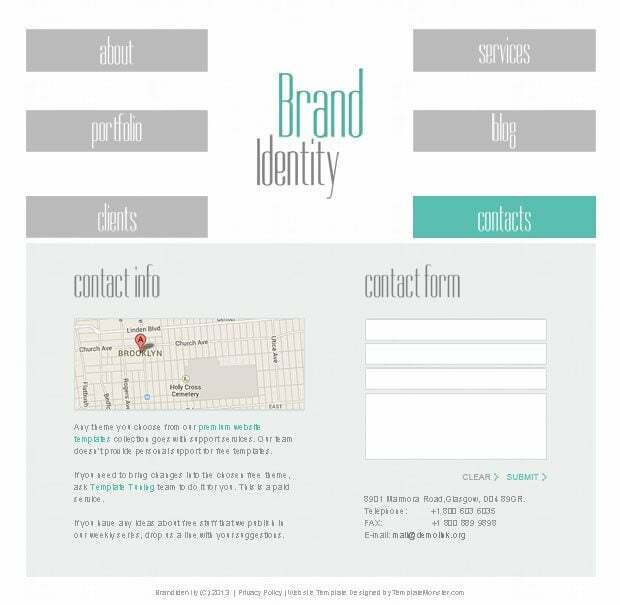 Simple yet welcoming page can engage your visitors drop you a line.